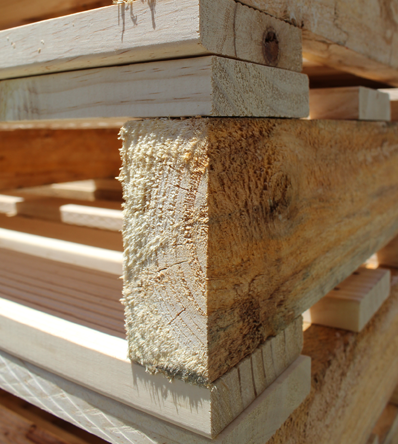 PALLETWEST can offer you a solution to the ongoing pallet build up on your site. We have a very fast and efficient collections team all trained in on site safety and security. Our team can integrate schedules into your workplace and remove and organise your pallet storage areas with no disruption to your employees. We have implemented pallet management programs into many large scale companies and we are the industry leaders in this field. It is a proven method of keeping your site clean and functional whilst removing the safety and fire hazard risks. Please contact one of of friendly staff to make an appointment for one of our consultants to meet with you on your site to discuss how PALLETWEST can help with your site management. All materials removed from your site will be either recycled, repaired or disposed of to an approved recycling facility. We can cater for any pallets, whether they be broken or damaged, or even branded, we can help you turn that dead area into useful space by collecting them for you. Our friendly collection team are on hand to make the job of removing those annoying pallets as simple as a phone call or sending a message to our team using the Contact page.